I don’t know about you, but I couldn’t wait for the arrival of my Planet Cake book. The newly released cake/cupcake decorating book published out of Australia is written by Paris Cutler. 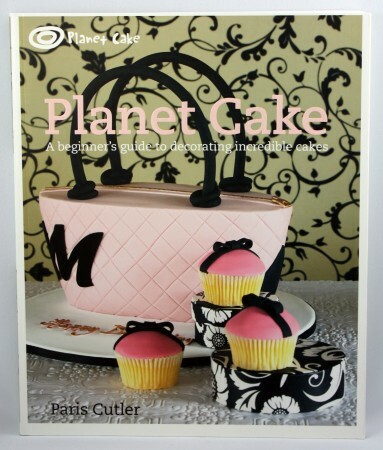 I had heard so many wonderful things about the Planet Cake company itself, that I couldn’t wait to see what they would publish. I was pretty much ready to fly to Australia just to take a cake decorating course with them. (Oh and maaaybe catch a glimpse of the country). And now, it’s finally here, and I’m not going to spoil it for you by telling you about everything in it, I’m just going to give away two Planet Cake books. Hopefully you win so that you can check it out for yourself! To enter the giveaway, all you have to do is leave a comment about what your favorite cake flavour is. Contest closed. No eye-straining missing cookie this time. I’ll be using www.random.org to draw the winning comment. Don’t worry, you don’t have to do anything with random.org. I’ll take care of that just by entering the number of comments on this post, and hopefully your number will get picked! Make sure you leave a way for me to contact you if you win (email/blog), so that I can send you your prize. The contest will be open for one week; until Tuesday, June 16th/09, 7:00 pm Eastern Daylight Time. Just so you know, no one has sponsored this… I’m not getting paid to promote this book or anything; I just like it, had fun doing the last giveaway and meeting you. My favorite cake flavor…very vanilla! My favorite is white chocolate cake with raspberry truffle filling! kinda boring but never fails. To be completely boring about it, I like white cake. With white buttercream. Of course, that doesn’t mean I don’t love ALL cake, but white is definitely my favorite. My favorite cake flavor is one I made from the WBH book. Freckled Mocha Cake with Coffee flavored IMBC. I love my coffee! Carrot cake from scratch with cream cheese frosting is my favorite! Old fashion Chocolate cake with chocolate ganache is my all time favorite flavor. Thank you sharing all this wonderful info. I am new to your site/ blog and am just amazed.A self taught cake decorator that is always looking for helful tips. Thank you again. It’s really hard to decide I adore red velvet cake, but I also adore butter sponge cake that my mom used to make. My favourite cake flavour is anything chocolate!!! By the way, this is my first visit to your website and have made it one of my favourites! Your work is beautiful – thanks for sharing! My favorite cake flavor is Devils Food chocolate cake. I LOVE your blog site – you have really good pictures with great detail! Just book marked it. My favorite cake is pretty boring – chocolate cake with white buttercream icing and maybe a fudge layer. I’d love to win this for my friend who is WAY into cakes and makes very professional ones at home! I like yellow cake with vanilla buttercream. I think my fave is my own chocolate-mojito cake! My favorite flavor is White Sour Cream. It is dense and intense! I love to pair it with a plain cream cheese frosting. This cake tastes better as it sits-leftovers 3 days after still taste sooo good! My favorite cake in the entire WORLD is caramel cake with caramel icing and chocolate sprinkles. YUM. I love coconut cake! 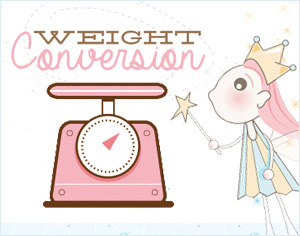 I am a novice and I just stummbled upon your site…LOVE IT! Thanks so much. I have to say that my current favourite is white butter cake with a lemon curd filling! What a great giveaway! I adore your gingerbread spatula. And the butterfly cookies are so gorgeous! I live in a small city so we don’t have the opportunity or shops to try or make anything unique like those in large metropolitan cities (which are at least 4 hours drive one way from where I live). So the only choices we have are boxed and boring store bought cake mixes. I like chocolate but vanilla gives you more opportunity for more flavors of icing or added bits. I would love a book that would allow me to make things I can’t get around here. Please add my name to the hat for chance to win. Many thanks. The cover alone is amazing. I neeed it! My favorite cake flavor is chocolate! My favorite cake is a lemon cream cake. The frosting is made from whipping cream and fresh lemon. The cake itself is vanilla. And the combination is wonderfully light and summery. My favourite is vanilla. I actually love all flavours, but I can never get sick of vanilla. Vanilla cake with strawberries and cream! I would have to say my favourite cake flavour is chocolate with a hazelnut chocolate icing. It can be as simple as adding caramel flavouring ! Chocolate fondant can be bought already-made, or you could color white fondant with brown food paste coloring . Here is a great chocolate marshmallow fondant chocolate recipe which uses cocoa powder and melted chocolate. You can add those two ingredients to your own regular fondant recipe as well. It’s a wee bit more complicated than a marshmallow fondant, but definitely doable. (Uses water, sugar, glucose or corn syrup and cream of tartar). My favorite recipe comes from The Advanced Professional Pastry Chef but there are lots of other fondant recipes on the net.